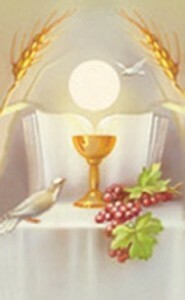 Without the Holy Eucharist there would be no happiness in this world; life would be insupportable. which He alone can satisfy. Children begin the preparation for First Holy Communion in the Autumn when in 2nd class in primary schools in Bandon parish. There are 4 schools under the Patronage of the Bishop in the parish of Bandon.